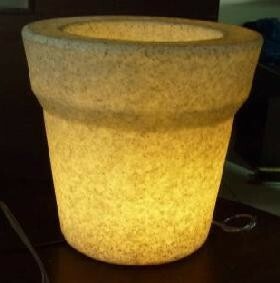 Small Slim Line Natural Virgin Planter with CFL Light. This planter is available in nice shape and natural virgin color offered with CFL light. Size Width 430mm and Height 600mm. Small Slim Line Natural Virgin Planter with CFL Light Height 600mm. Small Slim Line Natural Virgin Planter with CFL Light. This planter is available in nice shape and natural virgin color offered with CFL light. Size Width 430mm and Height 600mm.